Could you briefly introduce yourself and tell us a little about your background? As a thoracic oncologist, I provide care for patients with lung cancer and conduct research. 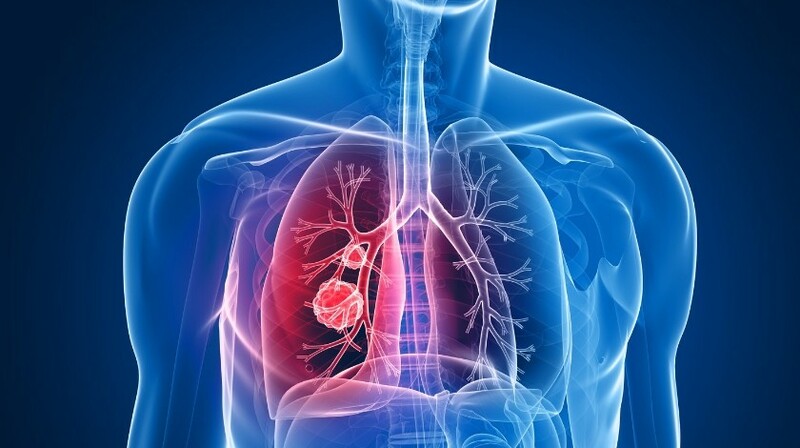 My research involves development of new treatment options for lung cancer. I serve as the director of Medical Oncology at the Winship Cancer Institute of Emory University (GA, USA). Could you give us a brief overview of the FLAURA trial? FLAURA was conducted to compare the effectiveness of osimertinib to standard EGFR inhibitors. EGFR mutations are observed in approximately 15–35% of patients with lung adenocarcinoma, a common subtype of lung cancer. For these patients, erlotinib and gefitinib are two of the most commonly used treatments. Patients develop resistance to erlotinib and gefitinib in approximately 10 months and the drug stops working. In nearly half the cases of resistance, a new mutation termed the T790M mutation is acquired in the tumors and renders erlotinib and gefitinib ineffective. Osimertinib belongs to a new generation of EGFR inhibitors that is very safe and inhibits the T790M mutation along with the original EGFR mutations. Osimertinib is approved for the treatment of patients that develop T790M mutation after treatment with erlotinib/gefitinib. We conducted the FLAURA study to investigate whether osimertinib could be utilized as ‘first-line therapy’ for patients with EGFR mutation (instead of erlotinib/gefitinib). The primary endpoint of the study was to compare progression-free survival (PFS). The study enrolled 556 patients that were randomized to either osimertinib or standard-of-care EGFR inhibitor (gefitinib/erlotinib). There was clear superiority for osimertinib, with improvement in median PFS from 10.2 months to 18.9 months, which represented a 54% reduction in risk of progression or death. There was also a promising trend towards improved survival, even though the data are not mature for the survival endpoint at the time of this report. There was a two-fold increase in median duration of response for patients treated with osimertinib (8.5 months vs. 17.2 months). Osimertinib was also more active in the brain, with a lower percentage of patients experiencing disease progression in the brain compared to the standard of care. Overall, the study demonstrated a robust, statistically significant improvement in PFS for patients treated with osimertinib. Could you tell us about the safety profile of osimertinib? Osimertinib had many advantages in safety profile over erlotinib/gefitinib. The incidence of serious adverse events was lower with osimertinib and the proportion of patients who discontinued treatment due to toxicity was also lower. The incidence of skin rash was reduced by 50% with osimertinib. Liver toxicity was also less common with osimertinib. Could you tell us about the potential clinical impact of the results of the FLAURA trial? The median PFS reported with osimertinib in the FLAURA study represents the best reported outcomes for patients with EGFR-mutated lung cancer. Based on these exciting results, osimertinib should now be considered a new standard of care for 1st line therapy of patients with EGFR mutations. Osimertinib is a highly effective treatment option for patients with EGFR mutations, with a stronger activity against brain metastases and a good safety profile. This will usher in an important change to the treatment paradigm for patients with lung cancer. Profile: Suresh Ramalingam is Professor of Hematology and Medical Oncology and the Assistant Dean for Cancer Research at the Emory University School of Medicine. He is also the Deputy Director of the Winship Cancer Institute of Emory University. Financial disclosure: Suresh has served on scientific advisory board meetings and received honorarium from AstraZeneca, Genentech, and Boehringer Ingelheim.